This $2.7 million residence is a renovation of an old brick building that has lived many lives including: its inception as a steam plant in World War II, a bank, and a climbing harness company. The site has some unique features, including a crow's nest, industrial chimney, and coal silo, all of which will be retained at the historic site. The building is 4,590 square feet but the final project will include 8,779 of usable space, which includes infilling a second story in the existing warehouse-type space and adding an additional two-story garage with apartment above that will be rented out. 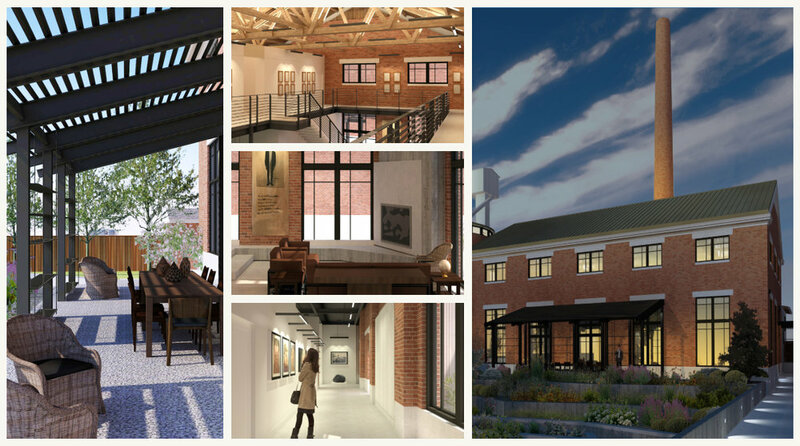 The project also features a viewing room for public art shows with rotating artists, extensive solar panels, uplighting on the interior roof trusses, a bedroom and library in the coal silo, and a sunken garden in the front yard. The project is scheduled to start demo this week, start construction in January, and be completed in June 2019.